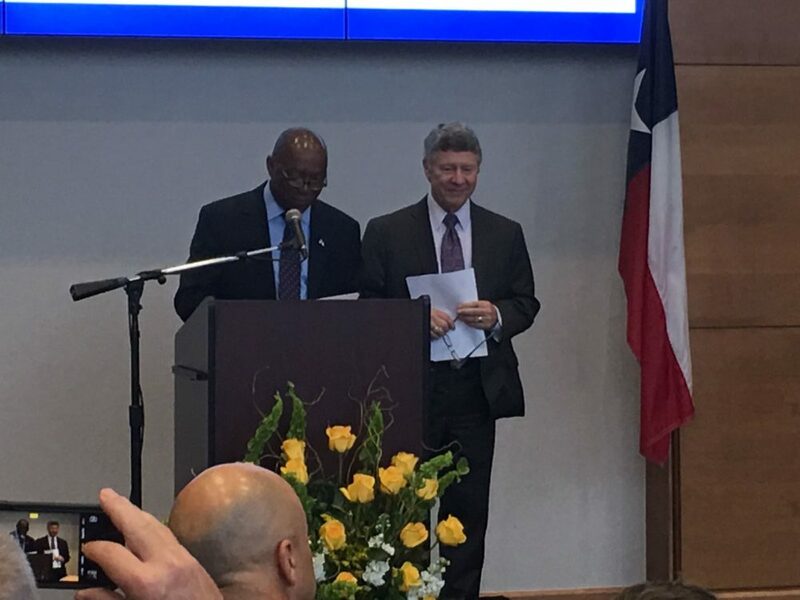 Houston Mayor Sylvester Turner (left) and Harris County Judge Ed Emmett (right), who in this file photo appear at a press conference held in October 2017 announcing the first round of funds from the Hurricane Harvey Recovery Fund, announced on March 21, 2018, that they have established a “framework” with the Texas General Land Office regarding the distribution of long-term recovery funds from the federal government as part of the post-Harvey recovery. 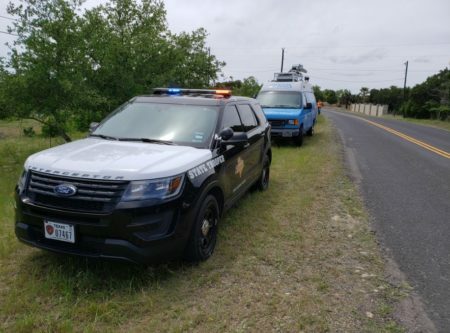 Houston Mayor Sylvester Turner and Harris County Judge Ed Emmett announced Wednesday they have established a “framework” with the Texas General Land Office (GLO), which is led by Land Commissioner George P. Bush, regarding the distribution of long-term recovery funds as part of the post-Harvey recovery. The GLO is in charge of distributing $5 billion in Community Development Block Grant grants that Congress appropriated to Texas last year for Harvey relief. Additionally, the framework will use HUD’s unmet housing needs data as a basis for distributing funds. As reported by the Texas Tribune, Turner recently criticized Bush for what he considered was an exclusion of Houston leaders from conversations on the disbursement of $5 billion awarded by HUD last November, which are primarily intended to meet housing needs. In January, Congress appropriated additional funds for infrastructure and flood mitigation. According to the Mayor’s news release, the GLO will use the framework to draft an action plan, which is required by HUD before the agency will distribute funds to the state. The public can comment on the draft action plan for 14 days before it is submitted to HUD for approval. 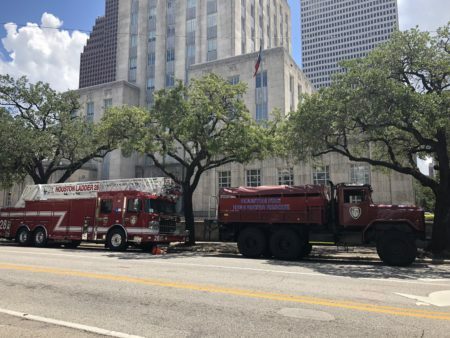 “We are now on the right path to a fair distribution of much-needed disaster relief dollars,” Turner noted in the news release, which added the City will “immediately” begin consulting with communities in Houston about how to use the federal funding.